The perfect example of Indian Craftsmanship, this kilim rug is made in wool and cotton material on a handloom. It contains Kashan design pattern in blue and pink color. This is woven in India. This Turkish kilim contains a very traditional design pattern which is called Kashan. This design has been originated from Persia in 17th century. 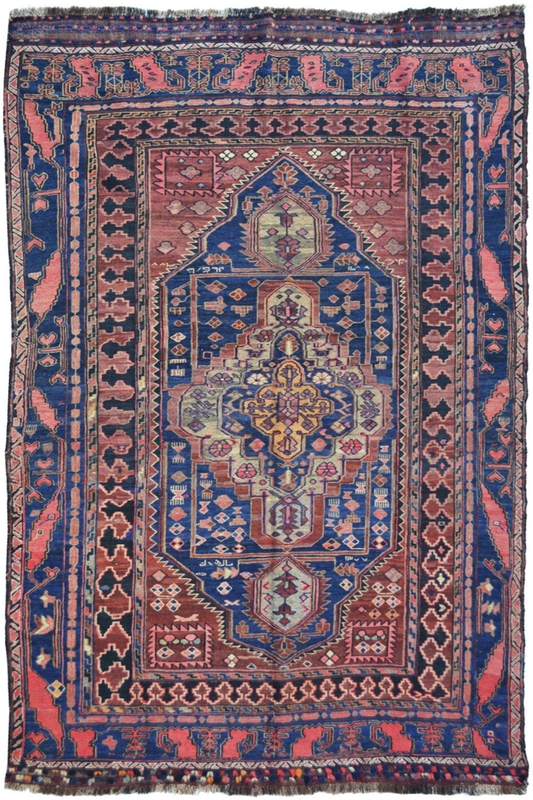 It contains a diamond shape which medallion in the center of this kilim rug. The primary colors are pink and blue. It has taken about 4-5 months to weave. This rug is ideal for a highly traffic area and ideal for providing an attractive look to decor.